Happy Monday loves! 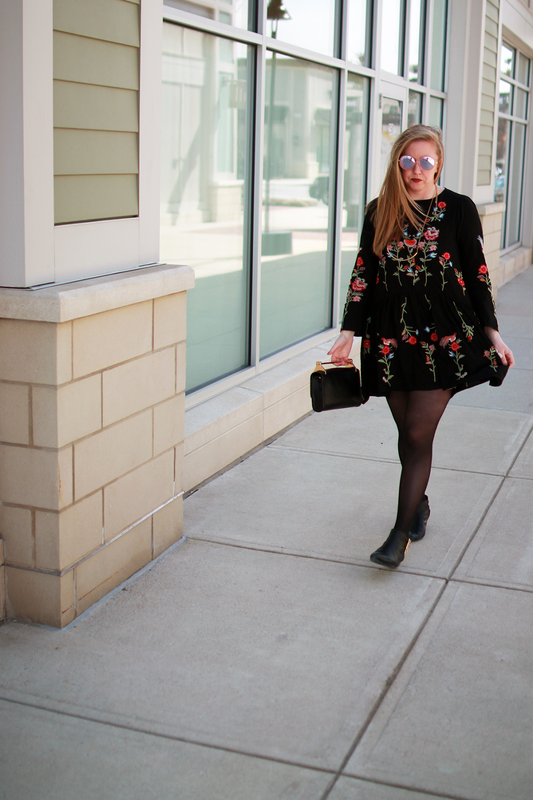 Can we just talk about this perfectly embroidered dress? So sweet and Spring-like. It certainly has me gearing up for warmer days ahead. Have a great week! 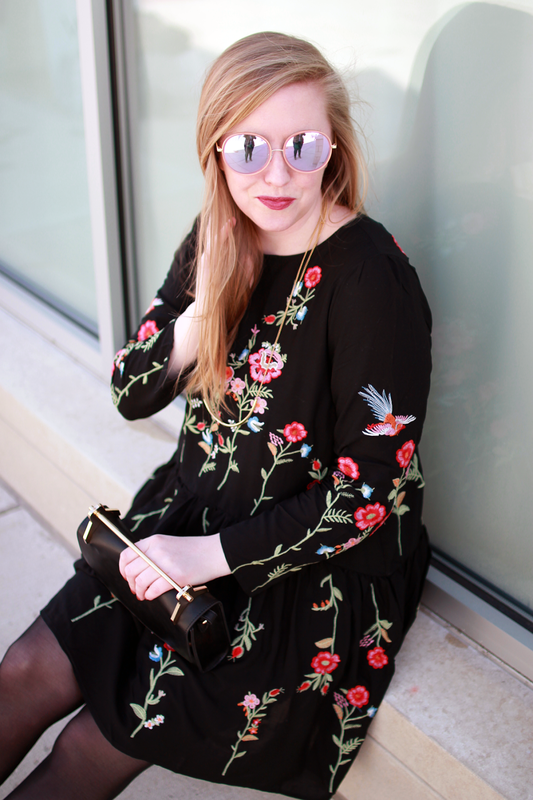 7 comments on "ChicWish Floral Embroidered Dress"
The embroidery details against the black dress is just too pretty! Great look which will transition well to spring too when you get to lose the tights! Such a cute dress! I have a similar one in a maxi design. The clutch is also very cool. This is a perfect little dress to take you from spring, to summer evenings and back into fall. Oh, and I am loving your shades as well. Thanks girl, I couldn't agree more!